Mega Review Featuring THEFACESHOP Hwansaenggo Escargot Collection! So excited today to finally share with you guys my thoughts on the latest skincare collection by THEFACESHOP! The Hwansaenggo Escargot collection consists of a cleanser, eye cream, emulsion, eye mask, face mask, night cream, serum, and toner all containing a potent mix of snail mucus and real gold. Snail mucus may sound really weird, but it's all the rage in Asian beauty right now for its powerful anti-aging capabilities. As well gold is commonly used as a luxury ingredient to help detox the skin and give it a beautiful radiance. Compared to THEFACESHOP other product lines, the Hwansaenggo collection is definitely higher-end with beautiful cardboard packaging and sleek gold toned exteriors. If you're under 25, I wouldn't even bother using this line as the packaging and ingredients skew for an older demographic, but if you're in your late 20's and up, then hell yes go check this out! Now, onto my thoughts on each of these individual products! Description: A foaming cleanser that cleanses and hydrates. Thoughts: This cleanser is SUCH GOOD VALUE. The first time I tried this, I didn't know how much to use, so I squeezed out my usual amount, which is maybe about a dime sized amount. I ended up with a crazy mass of foam that made my face look like it was swallowed by a cloud! Now I know to use just a teeny smidgen of cleanser and it's still enough to generate a lot of foam. Unlike most foam cleansers, this one isn't drying at all. It actually has a very creamy texture, maybe due to the snail extract, that made it a little harder to rinse off, but was still just as effective at cleansing off all dirt and oil. My only complaint about this one was that if you get any of it anywhere close to your eyes, it does sting. Description: An anti-aging toner that helps firm, hydrate and protect skin from environmental damage thanks to its snail mucus, black ginseng and 24 k gold. Thoughts: I love how the special snail extract is the topmost ingredient in this toner! I'm a big fan of this toner. The bottle itself is quite elegant, but the toner itself is really pretty as it's a light golden color with actual gold flakes in it. This toner is meant as a moisturizing toner, so you apply it after cleansing to balance out your skin and give it a splash of moisture that helps prep it for your heavier hitting products. My skin drinks up this toner like it's no tomorrow and it gives it an instant plumpness and luminosity. I would definitely repurchase this one! Description: Repair tired, aging skin with the powers of snail mucus, gold and black ginseng. This lightweight serum is instantly absorbed by skin for improved elasticity and radiance. Thoughts: Like the toner, this serum is a lightweight gel that absorbs easily into skin. It's an opaque, brass color flecked with gold, but applies transparent onto the skin. Unlike the toner, I'd say the serum is a bit more sticky and creamy but it's not heavy feeling by any means. I really like these types of serums as they absorb quickly and pair really well with heavier creams. You could use this serum both day and night, but I've been using the toner during the day and the serum at night. Both the toner and the serum come in the same sized bottles, but the serum actually only contains 45 ml of product. It's not really a fair comparison, but I think I actually prefer the toner over the serum as I get more product for the cost and the toner contains better ingredients in my opinion. A serum should really be a heavier hitting product, but I didn't really notice any dramatic effect from this one, so I'd say save your money for something better. Description: A concentrated anti-aging eye cream that targets those first signs of aging. Thoughts: This eye cream is a rich, deeply hydrating eye cream, but it still feels lightweight enough for use during the day. It's easily spreadable and absorbs quickly so you get a bit of a tacky feeling, but you can easily apply makeup after. Although it doesn't totally do away with my fine lines, this eye cream still wore better than most I've tried, which makes it a winner, if not a HG, in my books. I'm not sure how large the tube is, but it seems a lot bigger than most eye creams and you only need a small dot per eye, so I think this is pretty good value for $75. Description: A rich anti-aging face cream that helps improve skin's elasticity and radiance by deeply hydrating it with extracts of snail, gold, ginseng, garlic and mushroom, as well as shea butter. Thoughts: This cream is so rich that I've been using it as a night cream only. With its thick, silky texture, this cream feels really luxurious to apply and my skin just loves to soak up its moisture. Although not the richest night cream I've ever tried, this one does feel pretty nice and gives me soft, smooth and even skin every morning. It has a very light scent to it and dayum is this jar ever pretty! All good things aside though, this cream is a bit pricey for what it is. If this cream was say, $40 or even $50 then I might say go for it, but $69 is just a bit past my limit. Overall, I think this line was really nice... but not life changing. If you're going to spend basically $300 on this collection it had better be amazing and I do not think the Hwansaenggo collection is anywhere near that. None of the products were bad, but the price point just makes me hesitate on whether I'd ever repurchase. Extra points though for packaging design as the packaging on these are top-notch and the ingredients were pretty good with most of them containing the hailed snail mucus as the first ingredient. While I wouldn't recommend splurging on the entire collection, I would recommend getting the cleanser and the eye cream, with the toner being a "treat yo'self" addition. 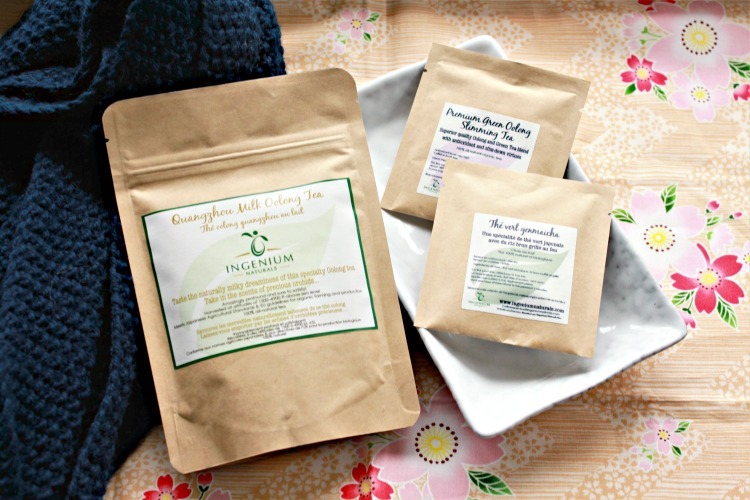 Have you tried any snail skincare products?